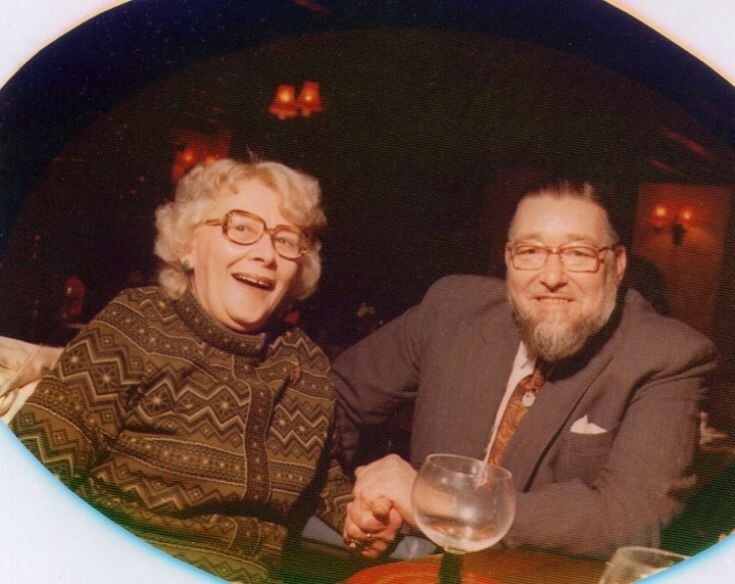 This is a photograph taken in about 1977 of my parents, Bob and Mary White, landlords of The Jolly Tanners in Staplefield from 1964 to 1982. Mary died in 1979 and Bob in 1982. Wonderful licencees. The years pass and the locals who can remember them have dwindled. Bob,ex Royal Navy, would give me a cup of coffee when making an official routine call whilst on duty. Unbeknown to customers, Bob had added a fair measure of his Navy Neaters rum. This was contained in a large stone jar encased in wicker. His homemade pasties were to die for. I remember Bob and Mary well. I lived at Ditton Place School on Brantridge Lane for 8 years until 1985. It was a great time with the nice family at the Victory, and Victor and Ada at Slaugham. The beer at the JTs was Pompey Royal and very tasty but it gave me a headache the next day for half an hour, which I had forgotten about by the evening! Now I hardly drink.